I haven't been here yet but will soon. I have heard great reports! 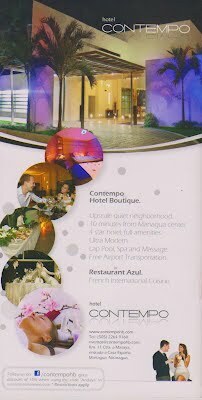 If you are staying or dining in Managua, check it out! No he ido todavía...pronto. ¡He escuchado muy buenos informes! Si te estás quedando o comiendo en Managua, ¡andate a ver! I haven't been there yet...have to do it soon!